The administration of George W. Bush was not known for gushing green. On the contrary, it brushed aside the views of mainstream climate scientists, both inside and outside the government. By comparison with the Trump administration, however, the Bush II era looks as verdant as Kermit the Frog. Scott Pruitt, Trump’s appointee to head the Environmental Protection Agency, has publicly denounced the EPA’s climate change science findings. That’s bad enough, but it amounts to a public relations kerfuffle compared with the muzzling of government scientists scheduled to speak at a conference where their research was to be presented. As the New York Times first reported, EPA scientists Autumn Oczkowski, Rose Martin, and Emily Shumchenia were abruptly denied permission to speak at State of the Narragansett Bay and Watershed, an event that coincides with the release of a report on the health of Narragansett Bay. To be clear, there is no indication that any sort of classified information was at risk of exposure. Rather, the paper that Oczkowski, Martin, Shumchenia, and other scientists produced shows that climate change has damaging effects on the health of the bay. The scientists have reportedly gathered data on fish populations, rainfall, water levels, and temperatures. These are scientifically discernible local facts. So too are the global facts of climate change (many of which are gathered by NASA). The remaining room for scientifically legitimate debate lies in two areas: causes and consequences. The former has largely receded into the political realm. Even a skeptical group of scientists, led by physicist Richard Muller, has found that human industrial activity is the primary cause of climate change in recent centuries. 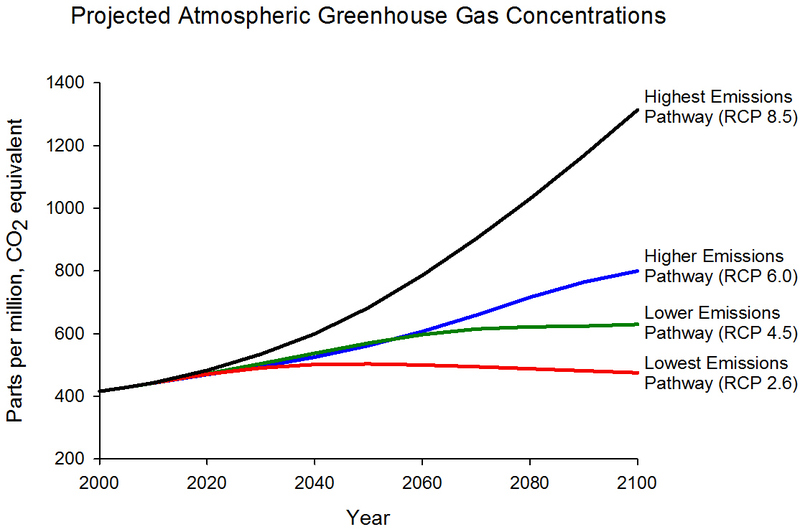 The latter is clearly expressed as uncertainty zones in EPA climate scientists’ charts. They, at least, have integrity. Yet, sovereignty of the people means little if we are denied the opportunity to hear from the scientists whose salaries we fund—merely because their findings or interpretations clash with the president’s political agenda. Most of us vaguely remember learning that Thomas Jefferson said something quotable about the importance to democracy of an informed citizenry. The opposite is also true. Government censorship of science goes boot-for-boot with authoritarian rule. The Nazi regime prided itself on German science—yet they politicized and thereby undermined it. The seminal work of Albert Einstein, published decades earlier, was condemned as “Jewish physics” and Jews were excluded from all posts at universities. Even though a few German scientists such as Werner Heisenberg continued to make use of Einstein’s ideas, threats from above meant that Germany’s nuclear program dead-ended—something we can all cheer. Meantime, in the Soviet Union, dictator Josef Stalin decided that Mendelian genetics was too reactionary for his tastes. He endorsed the proletariat pseudoscience of Trofim Lysenko. Crop yields never really recovered. Then again, judging by its governance today, neither did Russia. Science is not truth with a capital “T,” but it is humankind’s most painstaking, systematic, self-critical effort to model the true conditions of reality. The effort has paid off magnificently. Thanks to science we enjoy longer, better lives, with less suffering or superstition and more understanding and compassion.